Lucky number 7 - is it really? Two weeks ago, Friday the 18th, in a ceremony in the imperial city of Cusco, the Peruvian Institute of Intellectual Property (INDECOPI) granted Denomination of Origin (DO) to the term "Machu Picchu Coffee - Huadquina”. This is the second coffee that Peru certified as a DO and the seventh DO. The recognition is based on a technical study, which found that "Machu Picchu Coffee -Huadquina" possesses particular characteristics obtained by the geographic environment where it is grown and also to its production techniques used by the farmers in the area. 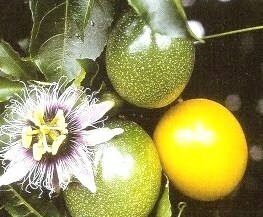 "Café Machu Picchu - Huadquina" is the seventh recognized DO in Peru. The first was 'Pisco' (spirit drink), then ‘Maiz Blanco Gigante Cusco’ (corn), 'Chulucanas' (handicraft) and 'Pallar de Ica' (bean). Form these fours, three were included in the FTA between Peru/Colombia and the EU. 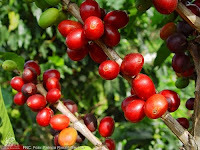 Later one, Peru granted two more DO: ‘Café Villa Rica’ and ‘Loche of Lambayeque’ (type of pumpkin) and now Peru has another coffee – will they be included in the FTA? I wonder this, because the news informs that the INDECOPI will manage its recognition and protection in all member countries of the Lisbon Agreement (administered by the World Intellectual Property Organization (WIPO)) and so, I thought that it should also discuss this issue with the EU, don’t you agree? and try some lucky. I mean we are talking about protection in 27 countries. This April, the Brazilian Instituto Nacional da Propriedade Industrial (INPI) will launch a new system that will allow faster registration of patent applications coming to the Institute from the outside - via Cooperation Treaty (PCT), which will help to accelerate the process. This system called the Data Acquisition System PCT (SISAD-PCT) provides automatic data acquisition with access to all information of a PCT application, by communicating with the database of the World Intellectual Property Organization (WIPO). In the first stage the system will be used to fill in applications with dates of deposits between 2006 and 2009. In addition, the tool will allow the inclusion of information that may have been omitted, referring to the inventors or applicants and priorities. It is hoped that this first stage should be completed in the first half of April. The second stage, still under study, provides for the incorporation of the SISAD-PCT into SINPI (internal system containing bibliographic data), in order to facilitate the registration since the beginning of PCT applications. The industrial property offices of Brazil and Portugal are already working on a plan to advance the cooperation between them, with the renewal of the current Memorandum of Understanding, planned for April. The two Institute Nacional da Propiedad Industrial - INPI’s presidents, Jorge Avila and Leonor Trindade, met on March 21, 2011 at the Institute of Brazil, in Rio de Janeiro to discuss the prioritisation of some issues. For instance: to promote the exchange of patent examiners, to deepen the discussion on the creation of the trade mark ‘lusófona’ and work together to develop the area of IP in Portuguese speaking African countries. According to the news, Portugal’s INPI has computerized all its procedures, with 99% of trade mark applications and 97% of patent applications made online. The institute has also innovated in the Portuguese working model offered to its employees, having successfully implemented teleworking, giving the option to examiners and technologists to work from home. It has been reported that Paraguay's Ministry of Industry and Commerce has proposed a law to protect appellations of origin and geographic indications. Foreign appellations and GIs will be registrable, so long as (i) they are protected in their country of origin, and (ii) the country of origin offers reciprocal treatment for appellations and GIs emanating from Paraguay. The proposed law has a lengthy list of terms that will not be registrable. These include generic terms, terms which are liable to confuse or mislead consumers and those which are already registered as trade marks. Like trade marks, however, registration will be for an initial period of ten years and will be renewable. All registrations will be subject to modification or cancellation where appropriate. Enforcement is to be the responsibility of the Ministry of Industry and Commerce, which can order injunctive relief or inflict fines, while the courts will have the power to impose fines or prison sentences of up to five years in counterfeiting cases. There is no significant opposition to the bill, which is expected to become law later this year. Source: "PARAGUAY: Congress Considers Law to Protect Geographical Indications", INTA Bulletin, March 15, 2011 Vol. 66 No. 6, information supplied by Wilfrido Fernandez (Zacarias & Fernandez, Asunción). Desde el 1 de marzo de 2011 el Instituto Mexicano de propiedad Industrial (IMPI) puso en marcha el sistema de trabajo compartido denominado Procedimiento Acelerado de Patentes (PPH: Patent Prosecution Highway) junto con la Oficina de Patentes y Marcas de Estados Unidos de América (USPTO). En palabras del Director General mexicano, Jorge Amigo, “las oficinas de patentes en el mundo han adoptado el trabajo compartido para hacer frente a sus retrasos e incremento en el tiempo de examen. El IMPI ofrece un alto nivel de experiencia en el ámbito de patentes y representa un valioso recurso para el trabajo compartido. Nuestra nueva cooperación beneficiará a nuestros titulares de derechos, al evitarse la duplicidad del trabajo y mejorarse la calidad de las patentes”. Patent Prosecution Highway es una iniciativa que comenzó en 2006 entre las Oficinas de Patentes de Japón y Estados Unidos con el fin de establecer procedimientos acelerados de concesión de patentes compartiendo información entre diferentes Oficinas, de forma que cada una de ellas pueda beneficiarse del trabajo hecho anteriormente por otra, minimizando la duplicación del trabajo realizado por los Examinadores, eliminando atrasos en el Examen y mejorando su calidad. Al mismo tiempo, la empresa o el particular que así lo desee y lo solicite expresamente, obtendría la protección de su patente de forma más rápida y eficiente. En la actualidad quince Oficinas de Patentes de todo el mundo forman parte de esta iniciativa, entre ellas las oficinas de Alemania, Canadá, Corea, Estados Unidos, Japón, Rusia, Oficina Europea de Patentes (EPO), Hungría, Reino Unido y Austria. Se estima que esta práctica, que comienza a extenderse alrededor del mundo, permitiría reducir el tiempo de examen de fondo de patentes desde 27 meses a un plazo aproximado de 3 meses. La fórmula surgió de la necesidad de los usuarios del sistema de propiedad industrial, empresas, operadores jurídicos, personas físicas e investigadores de extender la protección de sus invenciones en diversos países, lo que se traduce en la inquietud de cumplir con diferentes requerimientos legales y administrativos, demandados por cada uno de los países de manera individual. En México, según reportó el IMPI, sólo se otorgaron en 2010 a los inventores mexicanos alrededor de 229 registros, de un total de 9 mil 399. Las cifras reveladas por el IMPI cobraron importancia tras el Informe de Resultados de Fiscalización Superior de la Cuenta Pública 2009 que dio a conocer en semanas pasadas la Auditoría Superior de la Federación (ASF), al determinar que pese al incremento de miembros del Sistema Nacional de Investigadores (un total de 17 mil 568 investigadores mexicanos), la producción científica registrada se concentró de manera predominante en las publicaciones (artículos, libros y capítulos de libros), en lugar de apuntar a la generación de desarrollo innovadores. El director general del IMPI señaló que el número de patentes obtenidas por los inventores de México, pasó de 132 en 2006 a 239 para 2010, por lo que reiteró la importancia de poner mayor énfasis en la dinámica de promover el registro de desarrollos. leading the world a pretty dance? ". While Brazil celebrates the Carnival and the claim that it is the fifth largest economy in the world, some data-mining highlights that the Brazil may be all but relaxed when it comes to IP and knowledge-related policies. In a well-developed and absolutely focused strategy that resembles a goal-resulting soccer play, Brazil became a major stakeholder in the world’s IP and trade-related policies. From the drug transit case, which brought the BRIC’s B and I even closer, to the analysis of WHO’s relationship with the IMPACT taskforce, Brazil’s takes on IP and international trade are duly noted. All in all, it is a fully acceptable argument that the current Brazilian position in the international arena is new, and thus, hard to measure. However, it is not commercially acceptable – and could be a mistake – to disregard Brazil’s up and coming importance, mainly in the IP field. In brief, it is Tropicalization Time. Have you tropicalized yourself already?" 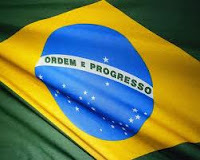 A read of the full article is a persuasive affirmation of Brazil's importance in the world of IP and IP's importance to Brazil -- but there's something that troubles this blogger. The author writes " Brazil became a major stakeholder in the world’s IP and trade-related policies" -- which is true, but the content of his article appears to support the contention that Brazil's stake is solely that of a consumer, or at best a policeman, of others' rights but not an IP rights owner itself. One might argue that, until Brazil has as much interest in protecting its own IP as it has in consuming the IP of others, that exciting country is only an overgrown and overheated developing economy which a vested interest in staying that way. El principio fundamental de la ley Nº 20.453 sobre Internet y Neutralidad en la Red, promulgada el 2010, es consagrar una web libre y transparente. El Reglamento administrativo de dicha ley fue publicado hoy 18 de marzo de 2011 en el Diario Oficial de Chile por la Subsecretaría de Telecomunicaciones, previa aprobación de la Contraloría General de la República. El texto reglamenta los derechos y deberes de los usuarios y empresas proveedoras de acceso a Internet en Chile, estableciendo la prohibición de bloquear arbitrariamente aplicaciones, servicios y contenidos en la web. Las prácticas restrictivas fueron definidas de forma específica en el Reglamento. Según informó Pedro Pablo Errázuriz, Ministro de Transportes y Telecomunicaciones, de Chile "la normativa dictada es clara y transparente para empresas y usuarios de Internet. Chile es pionero en el mundo en esta materia y vamos a liderar un cambio que impactará en la competencia por calidad de servicio. Las personas tendrán ahora mucha más información para elegir al proveedor que ofrezca mejores condiciones en los planes de Internet". La denominada Ley de Neutralidad autoriza a las empresas de Internet a mantener la administración de sus redes, pero esa gestión de tráfico no puede ser discriminatoria ni puede atentar contra la libre competencia. No puede usarse para bloquear o interferir el acceso a contenidos y aplicaciones por parte de los internautas.El reglamento regula administrativamente ese derecho y por ello se establece la obligación de los proveedores de explicar en detalle la gestión de tráfico que realizan, para que las personas sepan claramente cuál va a ser su velocidad efectiva de transferencia y puedan elegir el mejor servicio disponible. Para garantizar el cumplimiento de esta normativa, la propia ley obliga a las empresas a publicar en un sitio web todos los indicadores de calidad de servicio de sus planes, para que los consumidores puedan elegir el mejor servicio disponible a su medida y según sus intereses. La Subsecretaría de Telecomunicaciones implementará también un modelo de fiscalización de las redes y verificación de velocidad real de conexión, que podrá ser utilizado por los propios usuarios para controlar que la calidad del servicio que contrataron sea la que efectivamente están recibiendo. La aplicación efectiva de las medidas contenidas en el Reglamento de la Ley, deberá estar implementada en un plazo de 120 días a partir de hoy. Resolución definitiva sobre el registro de "Pezweon"
Han sido varios los amigos de IP Tango que se han referido a la resolución definitiva de INDECOPI por la que, finalmente, se concede la marca "El Pezweon" (Viana Rodriguez y Alfonso Rivera) (antecedentes aqui). Pero en este blog nos quedamos con la nota que nos ha proporcionado Gustavo M. Rodríguez García, abogado de los creadores del personaje peruano El Pezweón, el cual, además, nos ha proporcionado el texto de la decisión de la Sala de Propiedad Intelectual del INDECOPI (en última instancia administrativa). En ella se resuelve otorgar la marca solicitada que, como se recuerda, fue denegada por la Dirección de Signos Distintivos sobre la base que resultaba contraria a las buenas costumbres (que es una prohibición contenida en la Decisión 486). En esta decisión, según nos informa, se resuelve el otorgamiento de la marca y se establece un importante antecedente que permitirá destacar el deber de la autoridad de sustentar adecuadamente su invocación general a la moral y las buenas costumbres. Con esta decisión, se ha logrado un pronunciamiento histórico y que será un referente para el tratamiento de este tipo de controversias en el futuro. 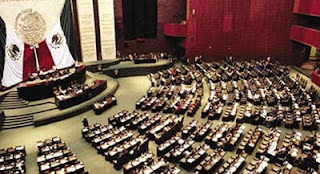 La Cámara de Diputados avaló reformas a la Ley Federal del Derecho de Autor, donde se incluyen sanciones a quienes reproduzcan y vendan obras cinematográficas y audiovisuales sin los permisos correspondientes. "Fijar, producir, reproducir, almacenar, distribuir, transportar o comercializar copias de obras, obras cinematográficas y demás obras audiovisuales, fonogramas, videogramas o libros, protegidos por los derechos de autor"
Se aclara que "fijar" es la incorporación de letras, números, signos, sonidos, imágenes y demás, elementos en que se haya expresado la obra. Asimismo de las representaciones digitales de aquellos, que en cualquier forma o soporte material, incluyendo los electrónicos, permita su percepción, reproducción u otra forma de comunicación. El dictamen aprobado indica que el fenómeno de la "piratería" como se denomina coloquialmente en el ambiente de los derechos de autor a la reproducción y explotación de obras, películas, discos, etcétera, se ha extendido cada vez más a diversos productos. 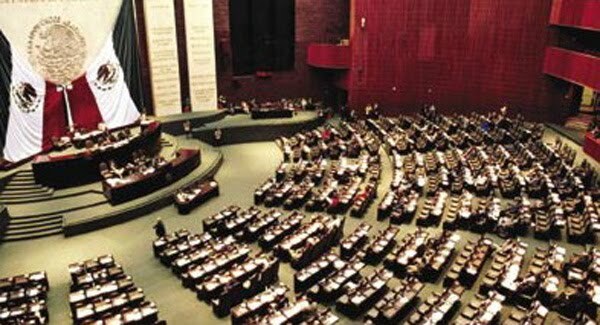 De acuerdo con datos de la Asociación Mexicana de Productores de Fonogramas y Videogramas (AMPROFON), la piratería representó una disminución en las ventas por 4 mil 960 millones de pesos. La piratería en México está dando mucho de que hablar en estos días, pues hay otros que afirman que el propio Poder Judicial la promueve indirectamente: aquí y aquí. 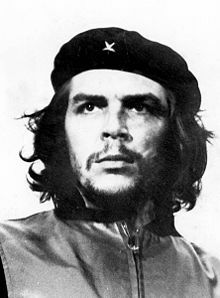 Es de sobra conocido el culto que se ha generado en torno a la figura de Ernesto "Che" Guevara, aquel ideólogo y Comandante de la Revolución Cubana que todo mundo dice conocer, pero que pocos realmente conocen su historia, su vida, intenciones, hechos, pero bueno, eso es tema de otro tipo de blog. Como muchos saben, el 5 de marzo de 1960, un fotógrafo cubano de nombre Alberto Korda tomaba una fotografía del marxista argentino durante un funeral en La Habana. La instantánea no tardó en recorrer el mundo, a manera de postal para sus seguidores. En 1968, un artista celta irlandés llamado Jim Fitzpatrick decide reproducir la fotografía de Korda en una obra plástica; así nace la clásica impresión rojinegra del “Che” utilizando una boina de soldado con una estrella solitaria. Ahora resulta que, cuarenta años después de la libre utilización de la imagen –coincidente con su incontrolable propagación alrededor del mundo– el artista Jim Fitzpatrick se ha propuesto registrar la obra para demostrar sus derechos de autor, y evitar de alguna forma los “burdos propósitos comerciales” sobre la misma. 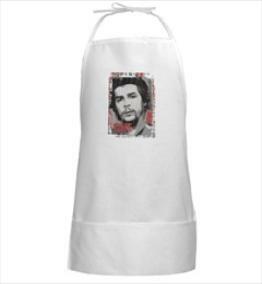 Parece ser que, cuarenta años después, ya le causa poca gracia ver la imagen que despertara en su juventud aires de rebeldía desvirtuarse alrededor del mundo en un merchandising tan difuso como profano. 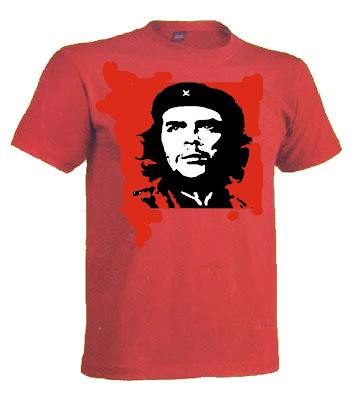 Cómics, remeras, afiches, carteras, ropa interior, gaseosas, muñecos, preservativos y hasta una serie de cigarrillos y habanos exclusivos fueron lanzados con su nombre e imagen. Las críticas no han tardado en apuntar los fines de lucro que podrían rondar detrás del tardío registro. El socialismo y el consumismo nunca estarían tan hermanados ante tal ambición. 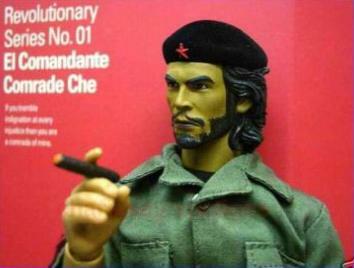 Fue por ello que el artista se adelantó al pensamiento, adelantando a la agencia Reuters que su necesidad estriba en frenar el mal uso de la imagen de Guevara. 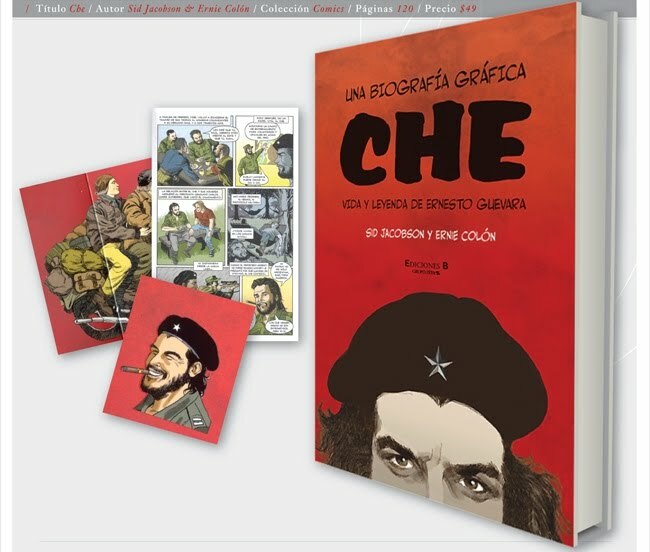 Incluso enfatizó en sus planes de viajar a fin de año a La Habana para hacer entrega de tales derechos de propiedad intelectual a los sucesores de Guevara. “Simplemente la quiero entregar y dar los derechos de la imagen que creé a la familia y que ellos decidan qué quieren hacer” (…) “Causé el problema y ahora busco el modo de rectificarlo“, señaló. 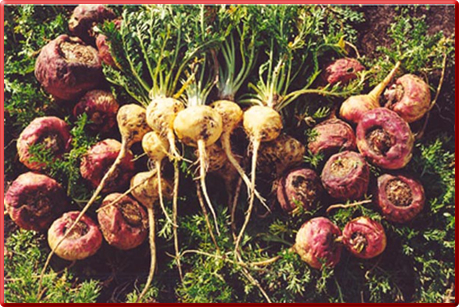 The February 2011 PIIPA Monthly Case Study, entitled "Traditional Knowledge & Biopiracy: The Peruvian Maca Root", explains that the maca root is an herbaceous, perennial, cultivated crop that is native to the Andes in Peru. Maca plants have medicinal values that include increasing libido, stamina, fertility and alleviating insomnia -- which presumably makes them useful for bloggers. For centuries, the people in the Andes have been using the maca root for its medicinal properties and now maca is exported around the world. The Peruvian people’s use of maca for medicinal purposes is an example of traditional knowledge. PIIPA -- the Public Interest Intellectual Property Advisors -- records that the National Institute for the Defense of Competition and Intellectual Property (INDECOPI) is a Peruvian government agency charged with the responsibility for market promotion and protection of consumer rights, as well as ensuring honest competition while protecting all forms of intellectual property. It seems that INDECOPI discovered that there were over 100 patents directed to inventions related to Peruvian indigenous plants, the maca root or that included maca derivatives in the patent claims. With the pro bono assistance of US law firm Sterne Kessler Goldstein & Fox, INDECOPI formulated an anti-biopiracy policy which involved the compilation of a dossier of maca-related prior art as well as lodging some patent oppositions. You can download the full case study here. 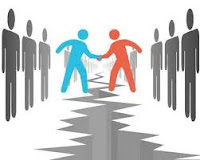 "WIPO has responded positively to a request by a group of nine South American countries – Argentina, Brazil, Chile, Colombia, Ecuador, Paraguay, Peru, Suriname and Uruguay – to assist in their efforts to improve services to local and international users of the IP system, initially through sharing patent examination results and other intellectual property (IP) resources. Mindful of the general concerns about patent quality and efficiency of the global patent system, WIPO has developed a technology platform called “WIPO CASE” which allows for the sharing of confidential search and examination information between IP offices and is already being used or evaluated by other regional groupings. “WIPO CASE offers a platform for patent offices to share information and reports relating to patent search and examination. The platform should thus contribute to enhancing the quality and efficiency of search and examination.” said Mr. Gurry while welcoming the collaborative effort by these nine South American countries. This writer is saddened at the omission from this list of countries of some jurisdictions which would greatly benefit from this initiative and hopes that they will not be left behind, for political or other reasons, when the fruits of progress ripen on the tree of cooperation. Yesterday, 3rd of March, was presented at the INPI one of its new structures: the Center for Intellectual Property Protection(CEDPI). This organization is designated to create mechanisms for resolving disputes involving IP assets. The speech was given by lawyer Richard Sichel and also by other officers from the CEDPI. 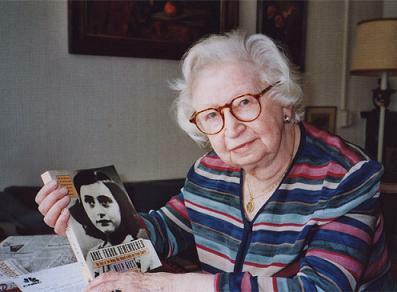 According to the information, INPI will use its expertise in intellectual property to mediate conflicts and to reduce the costs of disputes. There was indication that at this moment there is a group studying what would be the demand of this process in Brazil. To do so, the group is analysing the processes on counterfeiting in the Brazilian Judiciary. The CEDPI is also evaluating the experiences of international arbitration in intellectual property, especially those taken place in Canada, the UK and Israel. In addition, CEDPI is participating in a project of the Federation of Industries of São Paulo (FIESP) which enables public servants to act against piracy. Also, CEDPI will undertake studies to combat counterfeiting and unfair competition. Desde el Ministerio de Agricultura de Argentina se ha dado curso a dos proyectos piloto de indicación geográfica de origen para el ajo calingastino y el melón de Sarmiento elaborados por Programa de Gestión de Calidad y Diferenciación de Alimentos -PROCAL Cuyo-. Entre los objetivos del proyecto se encuentran promover el desarrollo de la agricultura en general y del cultivo de esta cucurbitácea en este municipio del sur de San Juan por medio de la diferenciación de sus productos por la calidad y el consecuente valor agregado, la diferenciación y posicionamiento en los mercados. La idea también es aumentar la producción y comercialización del melón en el mercado nacional e internacional, como fruto diferenciado por su calidad atribuida al origen y resguardar el prestigio comercial del "Melón de Sarmiento" o "Melón de San Juan", su autenticidad y originalidad. Con este objetivo durante la semana en curso la Municipalidad de Sarmiento de la República Argentina organizó una reunión para avanzar en el desarrollo del Proyecto Piloto para la Indicación Geográfica del Melón de San Juan, acordando metodologías y calendario de trabajo en el marco del Programa de Gestión y Diferenciación de Alimentos (Procal II). En materia de productos agrícolas y alimentarios, la ley 25.380, modificada por la ley 25.966 y el Decreto Reglamentario 556/2009, permiten a los grupos de productores -y otros integrantes de la cadena de valor- que obtengan un reconocimiento oficial de la especificidad o calidad particular del producto, que se deriva de su origen geográfico, incluyendo en este tanto los recursos naturales como humanos. La Superintendencia de Industria y Comercio (SIC) reconoció al Café de Nariño como la primera Denominación de Origen de café Regional en Colombia. El proceso de reconocimiento lo inició la Federación Nacional de Cafeteros luego de un proyecto de investigación y caracterización que comenzó en el 2006 y que fue liderado por el Centro de Investigaciones de Café, Cenicafe, y los Comités Departamentales de Cafeteros de Nariño y Cauca, apoyados por el Banco Interamericano de Desarrollo (BID). Como resultado de este proceso, la Federación, en su condición de representante de los cafeteros de la zona, presentó a la SIC en abril del 2009 la solicitud de reconocimiento de la D.O de Café de Nariño y en octubre del mismo año la D.O de Café de Cauca, según comentamos en una anterior entrada. 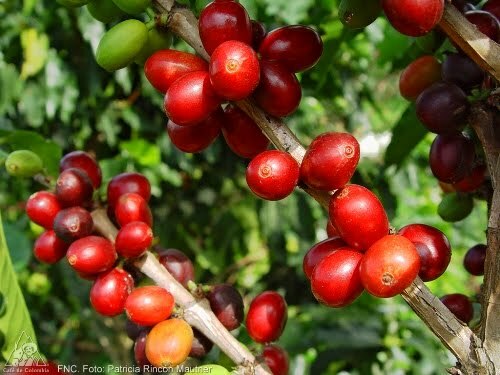 Dentro de su estrategia de diferenciación del Café de Colombia, la Federación de Cafeteros ha logrado en 2005 tener el primer producto reconocido como Denominación de Origen por la SIC; el 2007 fue el primer producto no europeo reconocido como Indicación Geográfica Protegida en la Unión Europea, y como producto protegido bajo marcas de certificación en Estados Unidos y Canadá, entre otros países. La Denominación de Origen Café de Nariño se relaciona con una zona geográfica específica de Colombia que consta de tres grandes regiones: La llanura del Pacífico, la cordillera andina (coformada por las subregiones cuenca del Juanambú-Patía,Valle de Atriz - Galeras y las mesetas de Ipiales y Túquerres) junto a la vertiente amazónica. El clima varia según las altitudes: caluroso a orillas del Pacífico y frío en la parte montañosa, donde vive la mayor parte de la población, situación que se repite en sentido Norte-Sur. El departamento es esencialmente agrícola y ganadero. El café de esta zona se cultiva a gran altura, entre los 1300 y 2300 metros sobre el nivel del mar sobre montañas empinadas de origen volcánico que cubren su territorio. Last week the Peruvian Institute of anti-competition and intellectual property (INDECOPI)awarded to the National Association of Producers of Pisco, the authorization to operate as the Regulator of the Designation of Origin Pisco. INDECOPI communicates that this authorization is “transcendental in the pisco industry, which constitutes an important step towards the management, control and improve the quality of our drink Pisco”. According to the information, the Regulatory Council is formed by producers who are authorized to use the Pisco appellation of origin. 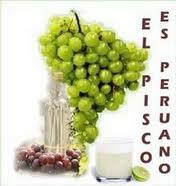 Among its main activities, the Regulatory Council will guide, monitor and control the production and processing of Pisco. Also, it will ensure the origin and quality of product, through a system of quality control. By this, it will ensure the prestige of the appellation of origin in the domestic market and abroad and it will act with legal capacity to represent and defend the interests of Pisco.